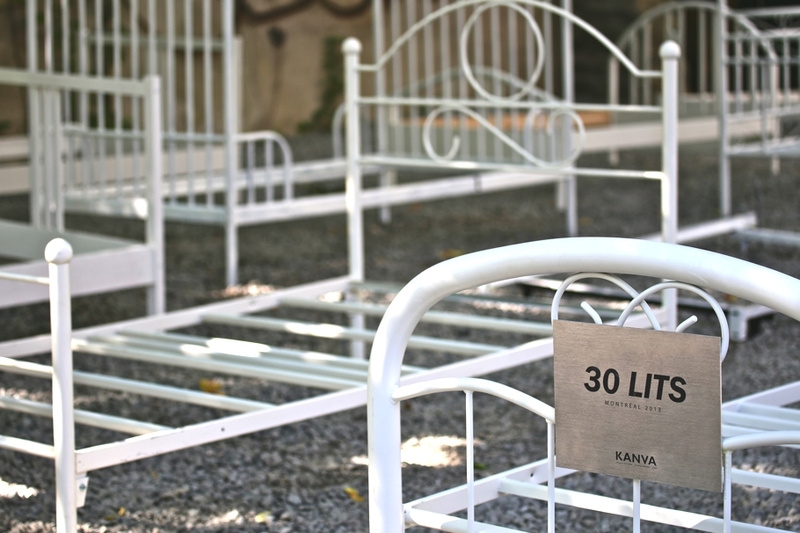 30 LITS is an ephemeral art installation by Montreal-based Kanva. 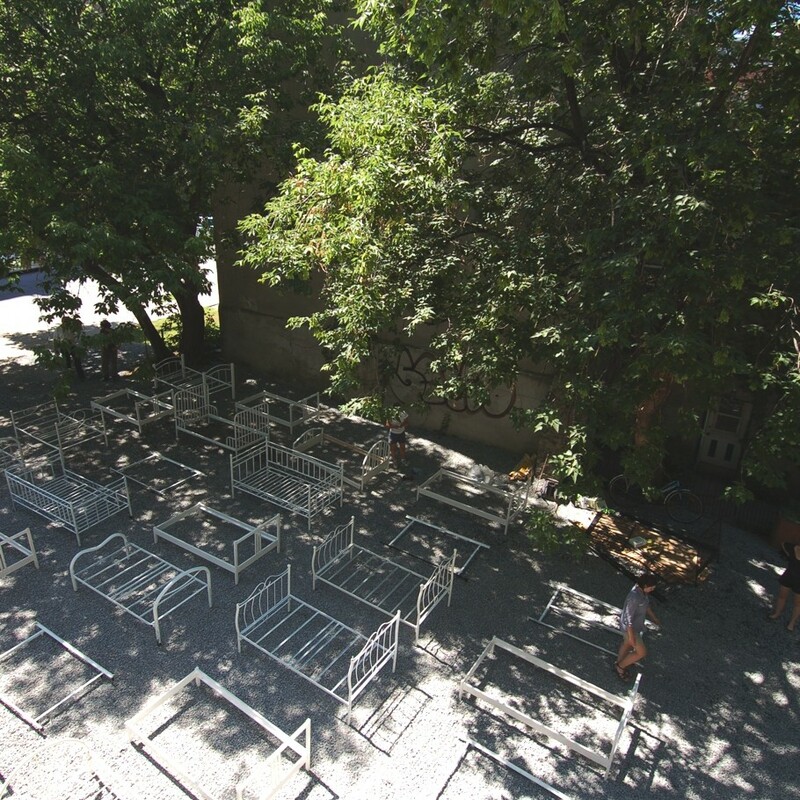 Slated to last two months, the exhibition occupies a private, vacant site in downtown Montreal. 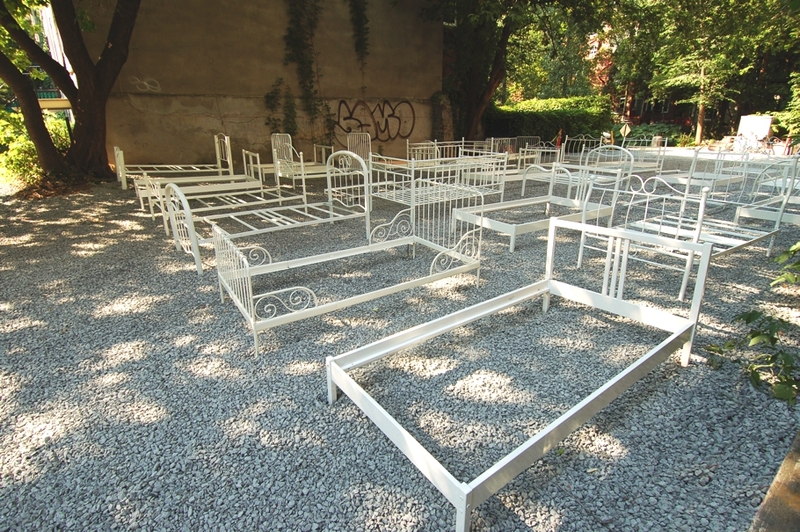 It is a delicate work consisting of 30 mismatched beds which were salvaged across the city and painted white. 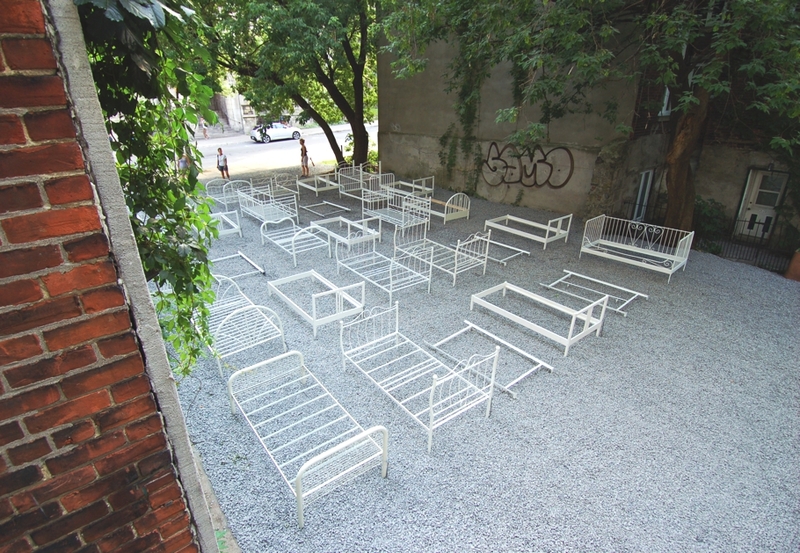 Inserting a bed with a collective space provokes a sense of intimacy, revealing the play between private and public boundaries. 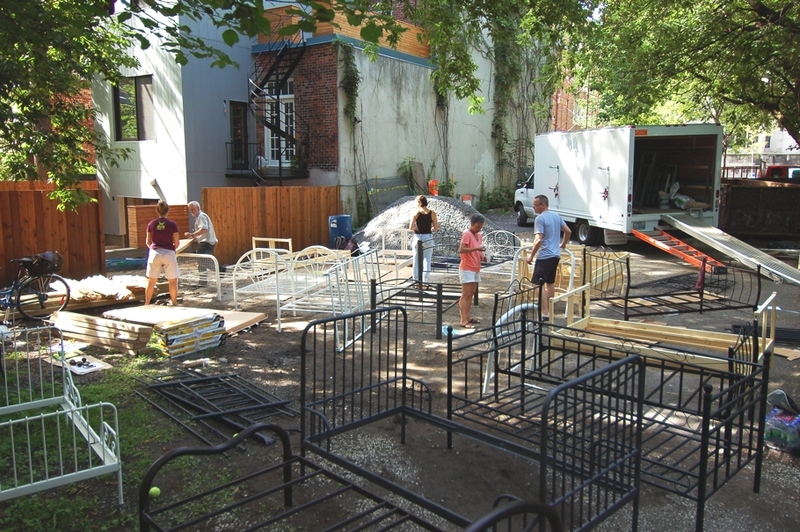 Inserting a bed with a collective space provokes a sense of intimacy, revealing the play between private and public boundaries. Furthermore, the installation sheds light on the contrast between an object that evokes calmness and rest and the dynamic and restless character of urban space. 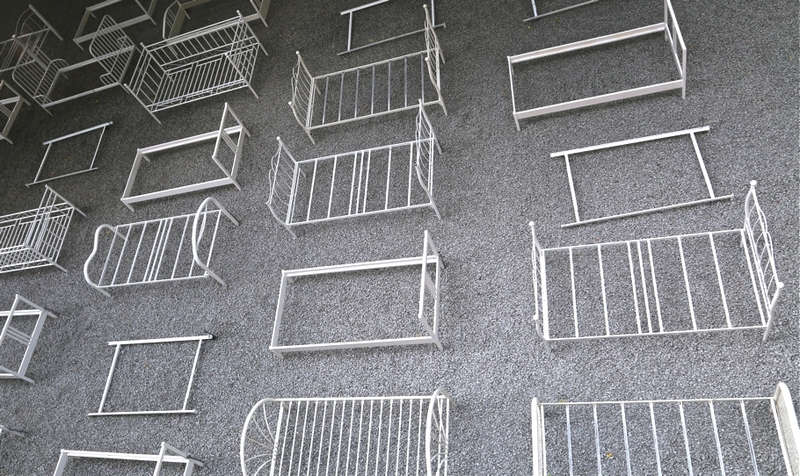 The finesse and purity of the white beds equally contrasts the greyness of typical urban furniture. 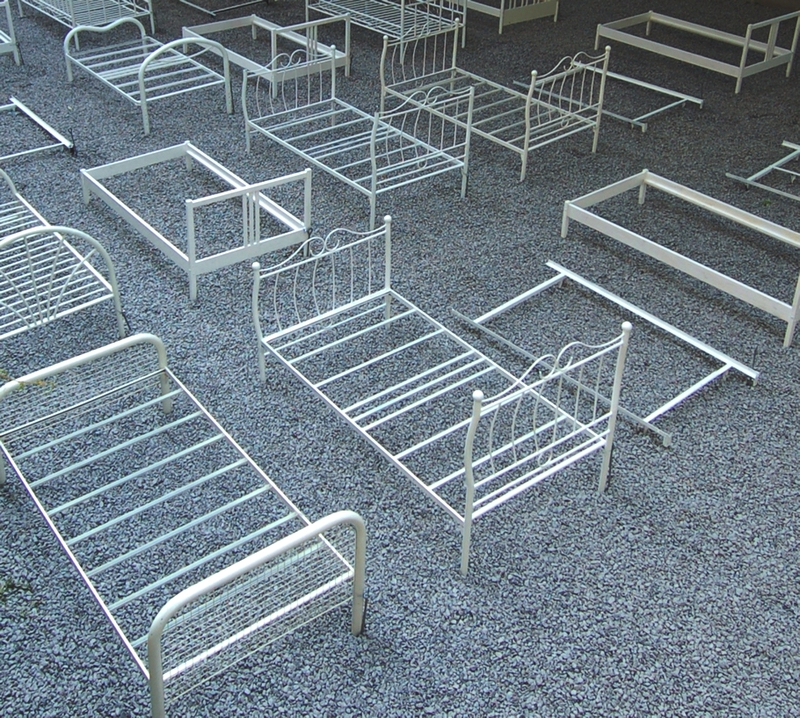 The 30 beds displayed in this installation underline the future vocation of the site: a university residence of 30 rooms. 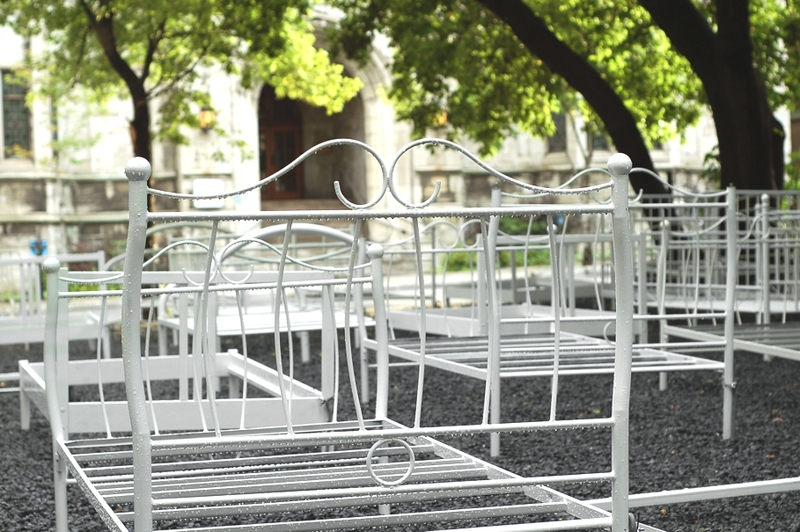 The uniqueness of each bed frame and its diverse origin symbolizes the collective union that will soon manifest between the future inhabitants of this university residence for students. 30 LITS is a reminder of the presence of the individual in the city and the multitude of daily lives that each building hosts. 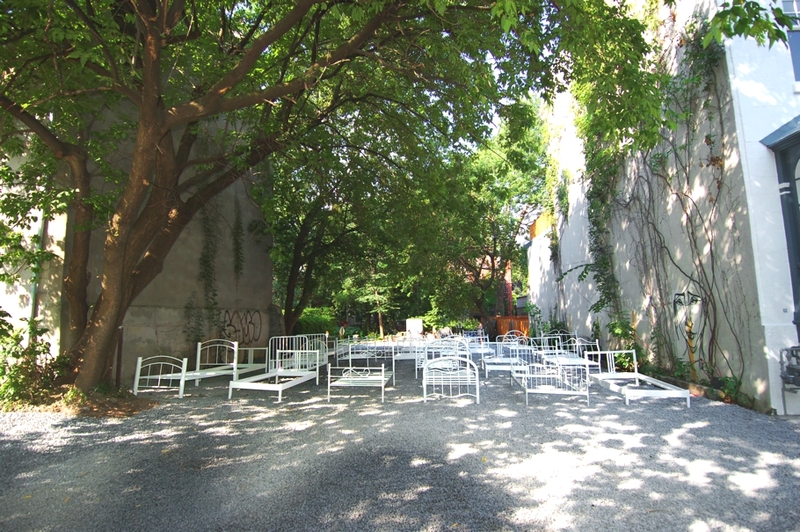 More broadly, the installation aims to offer a form of artistic parenthesis in the heart of the city, a space to reflect and unwind. In this sense, it is also a light and playful invitation to dream under the stars. 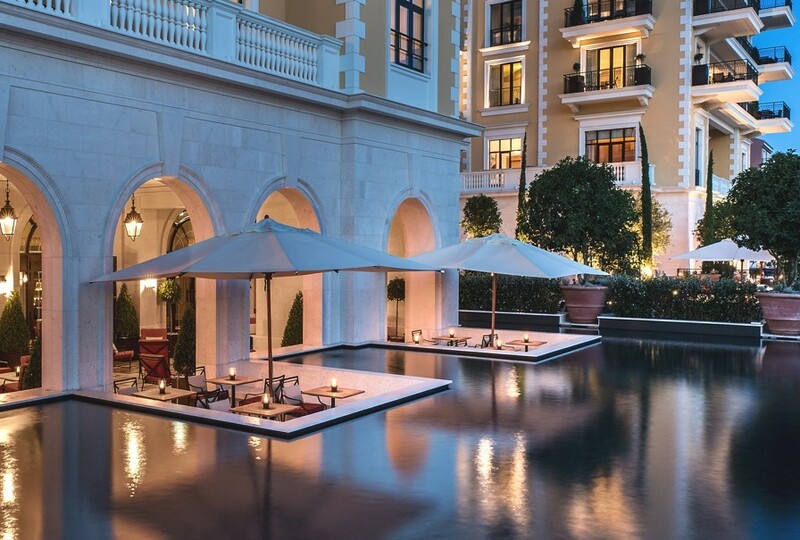 Regent Porto Montenegro designed by ReardonSmith Architects and ReardonSmith Landscape opened its doors this September. 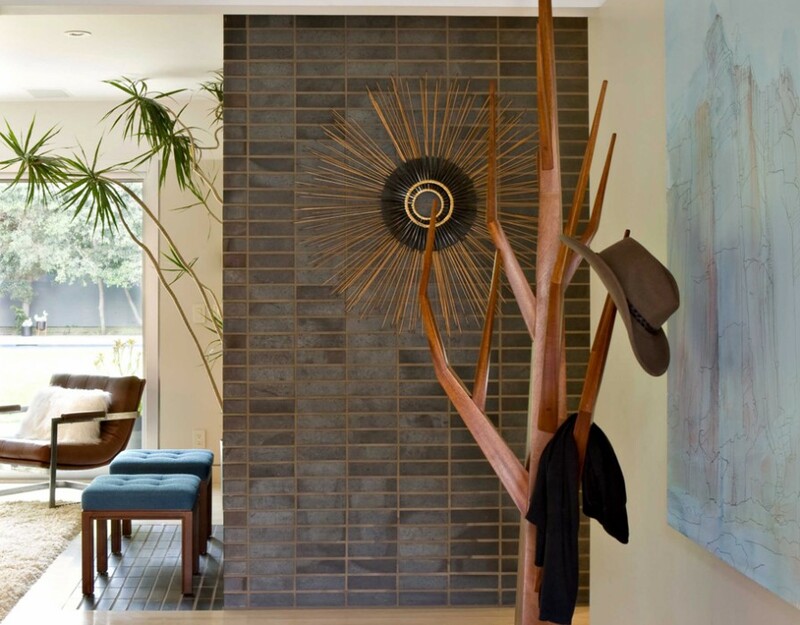 Architect Bruce Bolander and interior design practice Jamie Bush & Co delight us with another architectural gem. Completed in 2009, the Brentwood project, is a residential property that can be found in California, US.